The versatile Sparkman and Stephens designed Blue Jay has developed some of the world’s top sailors. Our Blue Jay designs have been a constant in the class thanks to their excellence in both durability and performance. The North Sails Blue Jay Mainsail is constructed out of Polyant 165 sailcloth. This cloth, along with the sail design, has proven to be high a performer, as well as durable for hours of use. he North Sails Blue Jay Jib is a durable, high performing and, most importantly, an easy sail to learn to trim and sail. Built out of Polyant 165 sailcloth. 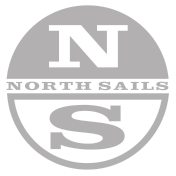 The North Sails Blue Jay Spherical Spinnaker is an all purpose design that is very easy to learn to trim for the beginning sailor, while still being a high performance design for the top sailors in the class. Made out of AirX sail cloth.